At Berghoff Family Dentistry, we offer comprehensive dental services to take care of your needs. We have been in practice for over 30 years and Dr. Berghoff’s expertise is apparent in the comprehensive treatments he uses. 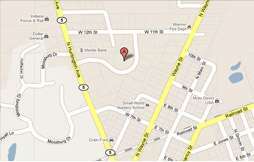 We strive to fulfill your dental needs and cosmetic goals without sending you out of town. You can receive quality orthodontic work right from our office. 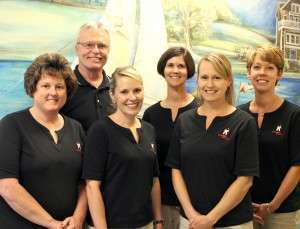 As a very family-oriented practice, we welcome patients from all age groups. Your whole family will receive caring treatment from us. Going to the dentist should not be stressful but we understand that many patients feel anxious about it. Our office works hard to make every individual as comfortable as possible while in our care. In addition to a friendly environment, we offer advanced technology with innovative dental treatments. We are on the cutting edge of dentistry and our practice uses digital X-ray imaging, intraoral cameras, and new tools for diagnosing and treating oral health problems in the earliest stages. Please feel free to call us if you have any questions or if you would like to schedule an appointment with us soon. © Copyright Berghoff Family Dentistry – Warren, Indiana. All Rights Reserved. Website Design - Business Promotion, Inc.